Sally Hansen recently released a new Hard as Nails display with 24 shades, and at only $1.99 each (0.45 fl. oz. ), I knew I had to pick some of them up. You can view the entire display on Nouveau Cheap, which is a blog that always does a great job enabling me to buy more products! 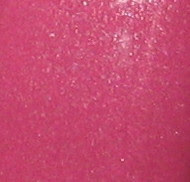 Rockin' Hard is a mauve/pink creme with hidden shimmer and while some might consider to be a "Granny" color, I think the hidden shimmer redeems it nicely. 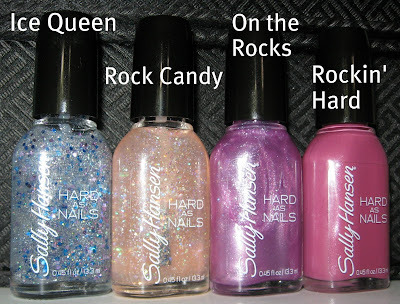 I thought with a name like Rockin' Hard, how can it be a "Granny" color? Unless they're referring to a rocking chair. Hmm...I still like it though! I used two coats and had no trouble with the formula or application. Here are the shades I picked up from the new display. Ice Queen and Rock Candy will likely work best as layering polishes, and On the Rocks is a lilac crushed foil glitter shade. What do you think of Rockin' Hard? If you've seen this display, let us know if you picked any shades up for yourself! 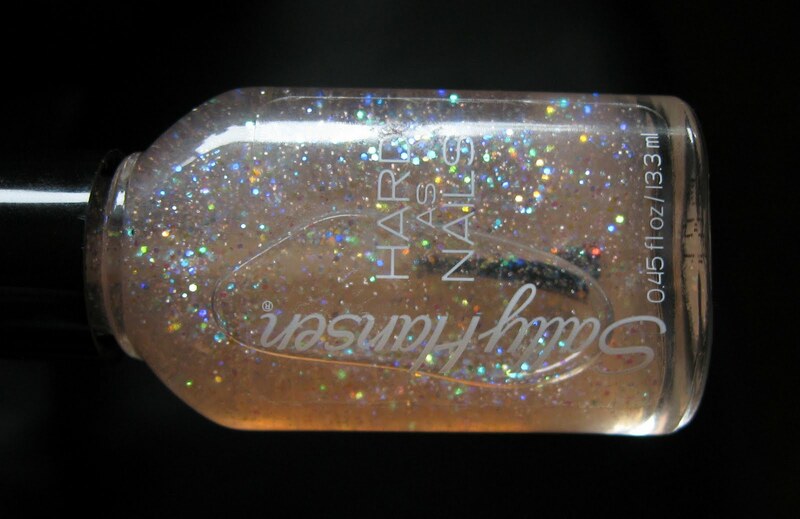 Rockin' Hard looks a lot lie NYC's Starry Silver Glitter which is an awesome topcoat. I saw them...stopped, and then dragged myself away. I am trying really hard to be on a no-buy (I've only gotten 9 polishes in the last week...eek). They are all very pretty. Oh, and great picks! I was tempted to get On the Rocks but resisted. I'd love to know what you think of the formula!